A few years back, I noticed companies were using a toxic product here in Newfoundland which was banned by Health Canada. I wanted to know why. I was tossed around from government department to department only to find out that while diazinon was indeed banned for use in the rest of Canada, the government decided to allow some uses here in Newfoundland while it “exhausted the supply.” Yes, we've become the Third World dumping ground for toxic chemicals. Why? Because we allow it, that’s why. I am ashamed at the number of people who are ignorant to the health and environmental effects of spreading toxic lawn chemicals all around our communities every summer. Let it sink in people — lawn chemicals? 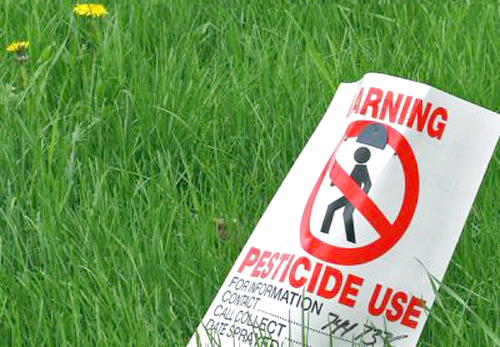 Lawn chemicals which poison pets, people and the environment. Is there any need? Obviously, the rest of Canada does not think so since more than 80 per cent of Canada’s population has protection. Are we going to be the dumping ground for companies to dump chemicals which are unwanted in the rest of Canada? Local and national doctors and specialists will be key speakers at a public forum sponsored by the Coalition for Alternatives to Pesticides Newfoundland and Labrador (CAP-NL), which will be held on Feb. 17. This very informative event will take place in the Foran Room at St. John’s City Hall at 7 p.m. When Canada’s most respected health authorities tell us pesticides threaten our health, we should all be listening. Here is your chance to listen learn and discuss the serious pesticide issue in Newfoundland.